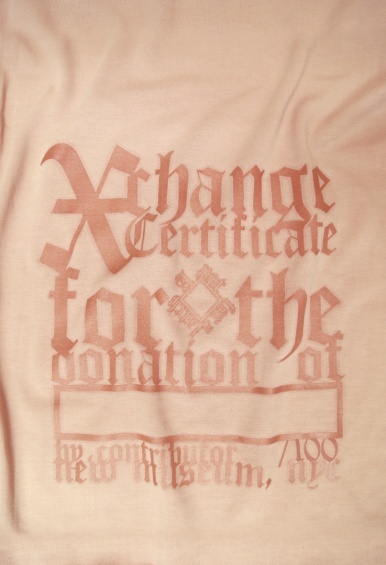 For this inaugural event, which will take place in advance of the show’s installation in January 2016, New Museum visitors are invited to swap their own unique items for a limited-edition sweatshirt, available in an edition of one hundred and designed by Camil in collaboration with Lorena Vega. The event will conclude once all of the sweatshirts have been exchanged. Important information regarding specifications for items eligible for exchange is detailed in the artist’s invitation below.